Despite the title, this is not a story about rocks, minerals, or any kind of geology, but of my first major cross-country flight. The first 20-25 hours of flight training takes place either within direct sight of the airport or to a designated “training area” a few miles away. This tends to create a kind of comfort zone which you don’t realize has existed until you leave it. The first time I flew away from the airport in a direction I had never been it felt wrong, that I was going somewhere strange and unusual, like leaving the country for the first time, despite the fact that I was flying over places I had known for years on the ground. 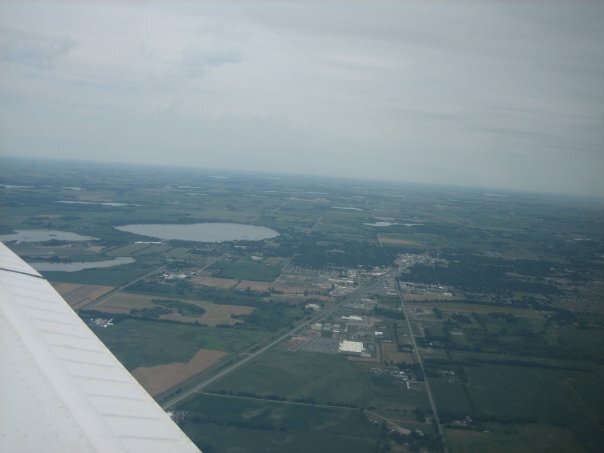 My first major cross-country flight was from Winona to Madison, Wisconsin, from there to Dubuque, Iowa, and back up to Winona. 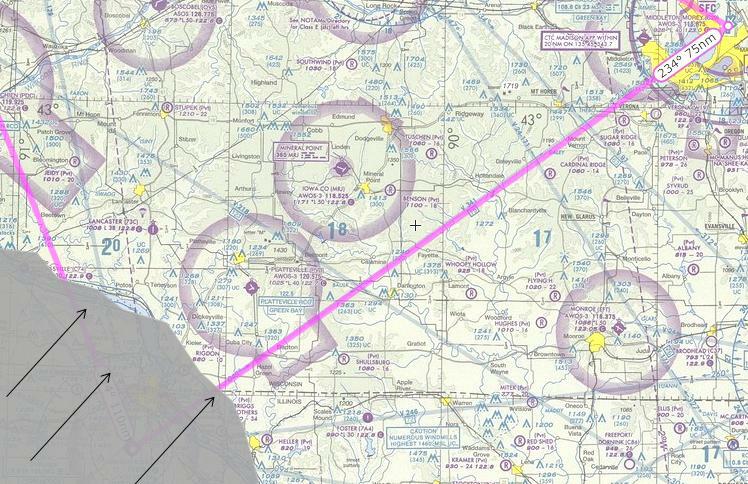 (KONA > KMSN > KDBQ > KONA), a total distance of about 300 miles, and a 3 three hour flight. I had fewer doubts about my navigating abilities than I should have, so the concept of traveling a large distance by myself never bothered me. The one factor that always made me nervous, though, was weather, and for cross-country flights I tended to scrap it when clouds were in the forecast, even in legal limits. The thing about weather is it is constantly changing, and things can turn out differently than forecasted, even in 3 hours. It was a good day for flying, and the only concern was a layer of clouds south of Dubuque which was dissipating slowly as the day warmed up. All indications pointed at this layer both moving south and breaking up, and even so it was up at around 6000 feet, so I could avoid it if I needed to. Elsewhere it was clear. The flight to Madison was quite uneventful. I usually relied on my sectional chart to navigate using landmarks on the ground (despite the lack of distinguishable features in Wisconsin), but the Piper I flew also had 2 VOR’s I played with to get a better idea of my location. I was a little nervous landing at a larger airport but it actually turned out to be much easier than expected as they vectored me in. A quick stop, bottle of pop, and checked the weather. The cloud layer was still near Dubuque but had moved to the south and it was still out of the way. With that, I took off. Halfway to Dubuque I was within range of the ATIS weather reporting system for the airport. As I looked ahead I noticed the sky looked quite hazy; in the 20 minutes or so since I took off the low overcast layer had sidled up and covered the airport. I was at the furthest point from home I could be when suddenly I wasn’t able to land at my next destination. 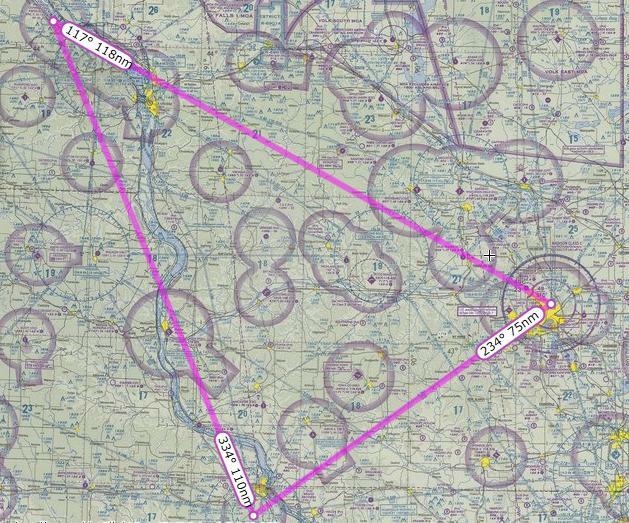 I quickly thought of my options: A) bypass Dubuque and just plot a course to fly back to Winona, B) make a 180 and head back to Madison, or C) Land somewhere else nearby and see what the weather is doing. Because Dubuque was going to be my fuel stop, and I wasn’t sure if some weather phenomenon was coming in that would get me on the way to Madison. 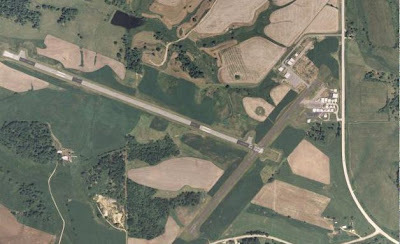 I looked at the sectional and found the nearest landable airport with fuel services – a little place called Iowa County Mineral Point airport. 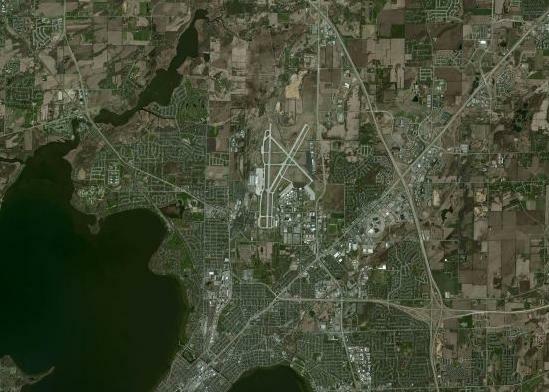 I looked off of my right wing and saw the little city, and began looking for the little airport to the northwest. After just coming from the largest airport I had been to, I was about to land at the smallest airport I had been to. Landed without any issues and taxied to the FBO. Luckily there was a self-serve fuel station, so I filled up and went inside to check the weather. I think there was one person around and they didn’t acknowledge me. I believe there was also a cow near the runway. I called home base and told my flight instructor that I detoured to Mineral Point. She was a new flight instructor and I think I was her first student to go on a cross-country flight, so she sounded a little more concerned than I considered necessary. Since the day was still young I just waited a little for the weather in Dubuque to clear up, and then I was underway again. I quick touch-and-go at Dubuque and I was on my way back to Winona. This was the easiest leg of the journey, as all I really had to do was follow the Mississippi River. When flying away from your point of origin for the first time you tend to get nervous in between checkpoints, hoping you don’t get lost, especially when flying in an area where there are isn’t much to see but farmland and kettle lakes. 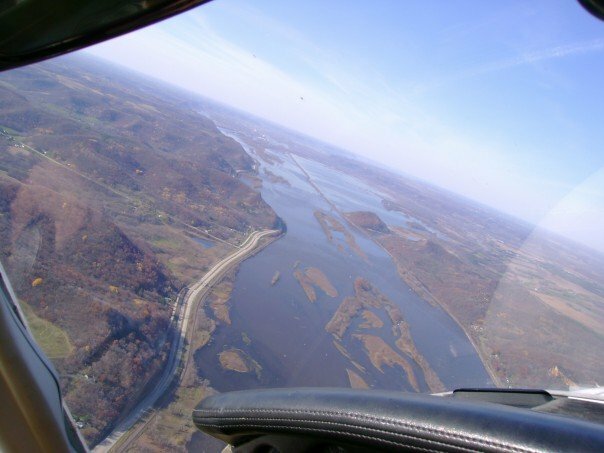 Knowing that all I had to do was fly up the Mississippi was very relaxing, on top of the fact that it’s beautiful scenery. Nice blog, dude. I grew up south of the Twin Cities, got my license at 18 when Wings was still operating out of downtown St. Paul. Lo and behold, I am also a geologist, currently working in mining out West. I haven't flown in several years, but you have provided some motivation here. I thoroughly enjoyed poking through your page today.